Please read this document carefully. It sets out the terms on which we agree to act for you, our client, and contains details of our regulatory and legal responsibilities. If you are unsure about any aspect of our Terms of Business or have any questions regarding our relationship with you, please contact us immediately. By doing business with us you agree to do so on the terms of this document, unless we both agree otherwise. This document replaces any previous version you may have had. The Guernsey Financial Services Commission (GFSC) is ultimately responsible for the regulation and supervision of all financial services within the Bailiwick of Guernsey. Channel Insurance Brokers (CIB) is licensed under The Insurance Managers and Insurance Intermediaries (Bailiwick of Guernsey) Law, 2002, as amended. CIB as an Insurance Intermediary can carry out business relating to Personal Lines and Commercial Lines. CIB’s GFSC reference 2050 which can be found on the GFSC’s website by visiting the follow link. https://gfsc.gg/commission/regulated-entities. 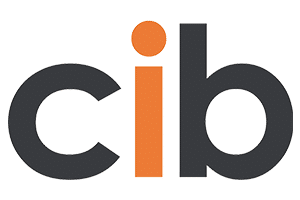 CIB is a Guernsey Registered Company Number 8722 and their registered office address in Guernsey; PO Box 664, 4 South Esplanade, St Peter Port, Guernsey, GY1 3PZ. CIB are also listed on the Jersey Financial Services Commission (JFSC) website – link https://www.jerseyfsc.org/the-commission/regulated-entities – Carrying on general insurance mediation business. CIB’s reference number with the JFSC – GIMB0257. These Terms of Business shall be governed by and construed in accordance with Laws of Guernsey and shall be subject to the exclusive jurisdiction of the courts of Guernsey, unless otherwise agreed in writing by us. We will advise and make a recommendation for you after we have assessed your needs, this will include the type of cover you seek together with the costs. Our broking staff are authorised to advise on all classes of General Insurance Business. Where we are not able to give you advice or a recommendation, we may ask you some questions to narrow down the selection of products that we will provide details on. You will then need to make your own choice on how to proceed. Where we do not offer advice we will make you aware of this. Our service includes arranging your insurance cover with insurers to meet your requirements and helping you with any ongoing changes you have to make. We will advise you of any inability to place your insurance. As an independent insurance intermediary, we usually act as the agent of our client. we are subject to the common law principle of agency, which imposes various duties on us. However, in certain circumstances we may act for and owe duties of care to other parties. We will advise you when these circumstances occur so you will be aware of any possible conflict of interest. Prior to placement of your cover(s) we will inform you of the basis of our market selection and where a fair analysis has not been undertaken please note that you have the right to request a list of the insurance undertakings with whom we may and do conduct business. We are not under a contractual obligation to conduct business exclusively with one or more insurance undertakings although on some occasions we may offer cover from only one market. To assess the insurance product that most suits your needs, we may use another intermediary to help place your business and we will inform you when this is the case. The Insurance Act 2015 came into effect on 12th August 2016 in the U.K. and whilst not directly applicable to Guernsey it is likely that local insurers will be following the principles of this law going forward. The detail of which is included in this section which applies to policies incepted, renewed or amended on or post the aforementioned date. Your insurance is based upon the information provided to the insurance company. If you are a Retail Client (an individual who is not a professional client or an eligible counterparty) you must take reasonable care to answer all questions fully and accurately. Once cover has been arranged, you must immediately notify us of any changes to the information that has been provided to your insurers. Failure to provide accurate and up to date information may invalidate your insurance cover and mean that a claim may not be paid. If you are not a Retail Client you must present the risk (i.e. the subject matter of the proposed insurance) fairly. This means that you must disclose to insurers, before the setting up or renewal of your insurance policy is concluded, anything that might influence the judgement of an insurer in fixing the premium, setting the terms or determining whether they would take the risk. If you are uncertain whether anything is material, you should disclose it. In order to identify what must be disclosed, you are obliged to carry out a reasonable search before presenting the risk to insurers. This includes (but is not limited to) consulting with all senior managers. A senior manager is anyone who plays a significant role in the making of decisions about how your activities are to be managed or organised, regardless of whether or not that individual is a member of your board or is formally in a management role. You must also consult with anyone who has particular knowledge about the risk to be insured. if insurers would have provided the policy but charged a higher premium, insurers may reduce any payment in proportion to the difference between the premium charged and the premium that would have been charged if you had fairly presented the risk. This could result in a significant reduction to the amount of any payment under the policy. All statements and facts disclosed on proposal forms, statements of fact, claim forms and other documents should be full, true and accurate and must be given after undertaking a reasonable search, including consulting with your senior management. Where forms are completed on your behalf you must check them for accuracy and completeness before signing them. You must always read the declaration and make sure you understand it before you sign. Customers classified as Retail Clients (i.e. an individual who is not a professional client or an eligible counterparty) may have the legal right to cancel a policy within 14 days of receiving the full policy terms and conditions, although this timescale may vary depending on the type of policy purchased and this will be clarified in your policy document. The right to cancel also depends upon a claim not having occurred and the performance of the policy not being complete. You must contact the office from where you purchased your cover within the 14-day period where the Right to Cancel applies. The insurers may return a proportion of the premium to us, less any reasonable cost incurred in providing the cover. We reserve the right to make a charge including administration charges in relation to the time policy coverage was in place and to make reasonable charges for additional administration incurred. These charges will be notified to you prior to them being levied. Your contract may include a cancellation clause, please note: a number of insurers will only incept cover on a ‘minimum and deposit’ premium basis and some polices may be non-refundable in the event of cancellation. Where this does not apply, insurers may only return a proportionate return of the premium and you may be charged an admin fee to cancel. Our commission and or fees will not usually be returnable. Please refer to your policy documents for more details or contact your Account Executive. In the event that you fail to pay your premium by the due date, the insurance may be cancelled forthwith, or by insurers giving notice of cancellation. If you wish to cancel your policy(ies) please contact the office from where you purchased the cover. In addition, if your policy is subject to a claim and your insurer has made payment you may not be entitled to any refund and you may be required to pay the full annual premium plus policy fees. We are usually paid by commission paid to us by your insurer or service provider. For services performed for the insurer, in connection with the insurance contract, we may be entitled to further separate payment from the insurer. Some insurers may separately make payment to us reflecting the aggregate income and or profitability of our entire account with them. We may charge a fee for our services which may be partly or wholly in lieu of commission received from an insurer or service provider. Also we may charge an additional administration fee as detailed in the table below. Fees charged are usually non-refundable. Details of fees charged, including any made by other companies, will be clearly disclosed to you prior to taking your instructions to proceed. Any fee charged will not cover any work we do in relation to insurance policies which have not yet incepted or which we are not yet responsible for administering. Other companies may be involved in placing your insurance(s) and where such companies are involved they may charge a fee for their services. Our commission and our fees are earned for the policy period and we will be entitled to retain all commission and all fees in respect of the full policy period in relation to policies placed by us, even if the contract is terminated for any reason and even if you choose to appoint another intermediary in our place during the currency of your policy. You are entitled at any time to request information regarding any commission which we may have received as a result of placing your insurance business. Please contact us for more information. any claims or return premium monies that it has received from the insurer to you. We are governed by strict rules pertaining to client money, set down by the GFSC. We hold client and/or insurer money in a segregated bank account. We may act as agents for the insurer for the collection of premiums and payment of claims and refunds of premiums. This means that any monies received as agent of the insurer, as stated in individual arrangements between ourselves and an insurer, is deemed to have been received by them if received by us and that any claims money or premium refund is treated as received by you when it is actually paid over to you. Any interest earned on client money held by us will be retained for our own use. We will not be liable to you for any loss resulting from the failure of any bank holding client money to meet its obligations as a result of insolvency or similar default. We may transfer client money to another person, such as another broker or settlement agent, for the purpose of effecting a transaction on your behalf through that person. We do however still remain responsible to you in respect of your money. This may include brokers and settlement agents both within and outside the UK. The legal and regulatory regime applying to a broker or settlement agent outside Guernsey may be different from that of Guernsey and in the event of a failure of the broker or settlement agent, this money may be treated in a different manner from that which would apply if the money were held by a broker or settlement agent in Guernsey. You may notify us if you do not wish your money to be passed to a person in a particular jurisdiction. We will endeavour to check the financial ratings of all insurers by using industry rating agencies information however we cannot guarantee the future solvency of any insurer we place business with. Policy documentation will be issued to you in a timely manner and as soon as reasonably possible. You must comply with the terms and conditions of your insurance policy, especially any terms described as warranties and or conditions precedent to liability. Failure to do so could result in your policy being cancelled and/or in a claim or claims not being paid. Your insurance policy may create ongoing duties for you which you must continue to carry out. For example, a duty to disclose any change in circumstance that the insurers may regard as material to the ongoing insurance arrangements. Documentation including your policy and certificate (if applicable) will be issued to you after receipt from insurers. In the event of delay, at your request, we could provide you with a specimen or standard policy. Employers are strongly advised to keep, as far as is possible, a complete record of their employers’ liability insurance. This is because some diseases can appear decades after exposure to their cause and former or current employees may decide to make a claim against their employer for the period they were exposed to the cause of their illness. When a policy is issued, you are strongly advised to read it carefully, as it is that document, the schedule and any certificate of insurance that is the basis of the insurance contract you have purchased. If you are in doubt over any of the policy terms and conditions, please seek our advice promptly. You must pay the amount due in cleared funds in accordance with the payment dates specified on our invoice. In the event that payment is not made within the timescale specified you will be required to pay interest from that point at a rate equal to the base rate for the time being of Barclays Bank plc plus two per cent. Failure to make payments on time may lead to insurers not effecting or cancelling your policy. We may at our discretion deduct any sum that you owe to us from any amounts which we may receive on your behalf including but not limited to claims monies or premium refunds. If we owe you any premium refund, balances of less than £20 will be held to the credit of your account unless you say otherwise. By Cash - At the Office We are limited to the amount we can receive in cash. Please call the office prior to visiting to ensure the amount you need to pay is below our limit. Please do not send cash through the post. By Debit / Credit Card. Online - Lloyds Bank, Sort code: 30-93-73, Account No. 33885568, payee – Channel Insurance Limited. Providing that you meet the finance provider’s criteria you may usually choose to pay by instalments. We primarily use Close Brothers Limited and Premium Credit Limited as finance providers for our customers. If we deal with other providers we will disclose this to you. If you use a finance company such as Close Brothers or Premium Credit, then this is an independent loan. If, for example, you decide to cancel a policy or your insurer becomes insolvent, you will still be required to make the agreed repayments. [If you do not continue to pay your instalments your insurance may be cancelled.] A document will be provided for you by the finance provider outlining the terms of the finance agreement and it is important you read this. Please note instalment facilities are not available for all the cover types we arrange and/or services offered. We will use reasonable endeavours to act in accordance with your reasonable instructions. If we are not substantially able to achieve what you want us to achieve or if it is not possible to achieve what you want, then we will tell you. You may instruct us by e-mail, by telephone or during face-to-face meetings, however, any changes requested are only confirmed if we have acknowledged them in writing. We reserve the right to refuse instructions but, if we do, we will inform you. Communications using the Internet are not completely secure and may spread harmful viruses. If you would prefer us not to use e-mails you must inform us. Please note that office hours are Monday to Friday, 9.00am to 5.00pm. You can call us on Guernsey 01481 726971, Jersey 01534 619007 or Email: info@www.cib-insurance.co.gg. The office is not open for business on statutory (“Bank”) holidays or other public holidays. There may be a delay in responding to instructions if they are received outside of office hours. Most insurers now only produce documents in an electronic format, and we will transmit them to you in the same format unless otherwise agreed. The office has an answerphone facility with the ability for you to leave messages however we are unable to accept your instruction to go on cover or amend a policy through this facility. In the event of an incident which could give rise to a claim you must tell us or the insurer as soon as possible. If you do not, an insurer may refuse to deal with your claim or reduce the amount that you receive from them. We will provide you with assistance in submitting any claim unless we agree otherwise. We will help you to obtain settlement from insurers unless we agree otherwise. In the event that an insurer becomes insolvent or delays making settlement we do not accept liability for any unpaid amounts. All incidents must be notified whether you believe you are liable or not. We may charge you a fee for this service where we are acting as your agent in relation to claims, which will be discussed with you. In some situations, in relation to claims handling we may be acting as agent of the insurer, this will be drawn to your attention if this is the case. Please ensure that you answer all questions honestly and describe any circumstances accurately. If calling ourselves to notify a claim, please call Guernsey 01481 726971. We will endeavour to provide you renewal terms within a reasonable period of time or notify you that renewal is not being invited. Attached to the renewal terms will be a statement of any changes to the terms of the policy, and changes to any information required, it will also contain a statement of price and information about cancellation. If we do not receive your instructions prior to the renewal date, we reserve the right to renew your policy, however we are not obligated to renew on your behalf. If we have assumed that renewal is required, where your instructions were not received, you may be liable to make payment to us/Insurers. We will promptly acknowledge your complaint in writing. If following our investigation and response to you, you are not satisfied with the outcome or we do not complete our investigation within 3 months of the date of receipt of your complaint, you may be eligible to contact the Channel Islands Financial Ombudsman Services, PO Box 114, Jersey, Channel Islands, JE4 9QG. Details of this will be provided to you in our response. A copy of our complaints procedures is available on request. We are legally obliged to collect and process your information fairly and lawfully. This includes us ensuring that any third parties with whom we share your information will also collect and process your information fairly and lawfully. If you would like more information on polices in relation to our duties under the Data Protection (Bailiwick of Guernsey) Law 2001, please contact the office from where you purchased your cover. We may share your information with credit agencies and other companies for fraud prevention and to pursue debtors. Some of the third parties with whom information is shared including but not limited to insurance companies, their agents and/or loss adjusters may be located outside the Bailiwick of Guernsey and/or may transfer personal data [as defined by the Data Protection (Bailiwick of Guernsey) Law 2001] outside the Bailiwick. You must notify us if you do not wish personal data to be shared outside of the Bailiwick. We would like to send you information about our own products and services, as well as those of selected third parties by post, telephone, email and SMS. We will carefully consider whether these products and services are relevant to you, before contacting you. If you do not agree to your information being used in this way, please contact the office from where you purchased your cover and we will remove your details from our marketing lists. We would also like to share your information with other companies so that they may send you information about their products and services; this may be by post, telephone, email and SMS. Before we share your data we will seek assurances from the third party that they will collect and process your information fairly and lawfully and that they will carefully consider whether the information they are proving to you is relevant to your needs. If you do not agree to your information being used in this way, please contact the office and we will ensure your details are not passed to other companies. If at any time you wish us, or any company associated with us, to cease processing any of the personal data or sensitive personal data we hold, or to cease contacting you about products and services, please contact the office from where you purchased your cover. You acknowledge and agree not to make any claim personally against any employee, director or officer arising out of the work and services provided under these Terms of Business. This clause does not in any way limit or affect our liability to you as set out below. We endeavour to give professional insurance advice. However, our advice and our service to you under these Terms of Business do not take into account Health and Safety Consultancy, or employment law considerations. Insurance Broking staff can take instructions from you on Insurance Broking Services only. You must instruct Health and Safety Consultancy or employment law specialists directly. Insurance advice may differ from or conflict with other advice which you may receive. In this event, you need to let us know in order that we can help you deal with any such conflict or difference. This agreement shall become effective between both parties when cover is affected and supersedes all previous agreements whether oral or written. This agreement shall be subject to Guernsey law with the exclusive jurisdiction of the Guernsey courts. Please contact us immediately for questions on these terms. You may cancel these Terms of Business with us at any time. If you do so, we will continue to be entitled to receive any fees or commissions payable. We reserve the right to resign as your broker. If policies are to be cancelled, due notice will be given in accordance with the terms of the insurance policies. We will continue to fulfil any outstanding regulatory responsibilities to you following termination of these Terms of Business. Each of our rights or remedies is without prejudice to any other right or remedy we may have whether under a contract or not. Our failure or delay in enforcing or partially enforcing any provision of a contract will not be construed as a waiver of any of our rights under a contract. share such information with our own insurers and professional advisors on terms that preserve confidentiality or where we are required by law or by order of the court to disclose such confidential information. However, we will not be bound to keep any information confidential where it is or becomes in the public domain, it was already known to us or becomes known to us independently of you, or if you authorise us to disclose such information. If any part of these Terms of Business is or becomes illegal, invalid or unenforceable then that part shall be deemed to be removed from these Terms of Business and shall not in any way affect the legality, validity or enforceability of the remaining Terms of Business. Your rights and our rights under these Terms of Business may be waived if specifically agreed in writing by you and us but not otherwise. Channel Insurance Brokers Limited (CIB) is a well-established and respected insurance broker located in Guernsey. CIB is a trading style of Channel Insurance Brokers Limited, which is licensed by the Guernsey Financial Services Commission for Insurance Business and is regulated by the Jersey Financial Services Commission for General Insurance Mediation Business, GFSC Ref 2050. Company Registration Number 8722. Registered Office: 4 South Esplanade, St Peter Port, Guernsey, Channel Islands, GY1 3PZ. Copyright © 2018 Channel Insurance Brokers Limited.